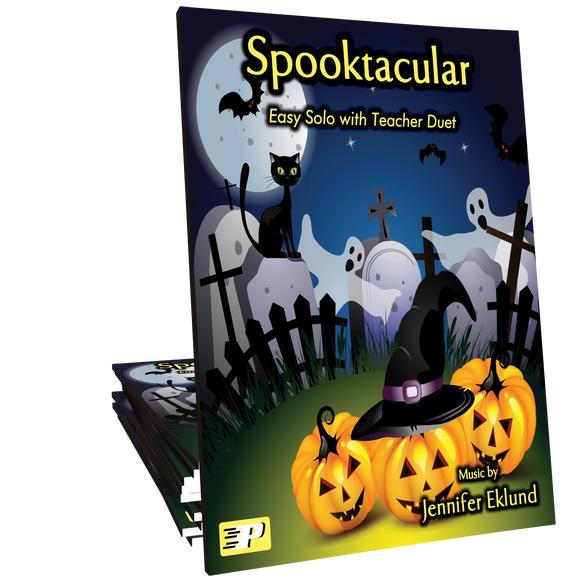 Spooktacular is an upbeat, minor-key jazz solo with teacher duet that incorporates finger snaps throughout. 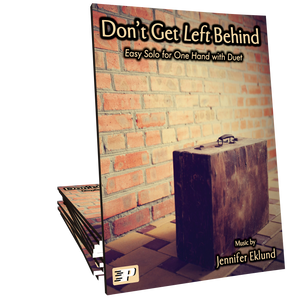 This piece is ideal for beginners of all ages and can be taught by note or rote. I can't recommend Spooktacular enough. It's incredibly fun to play (for both of us!) and my student is super proud of herself. This addictive Halloween piece is probably going to be making an appearance in our Christmas recital (:)) because this little girl just needs to show it off! 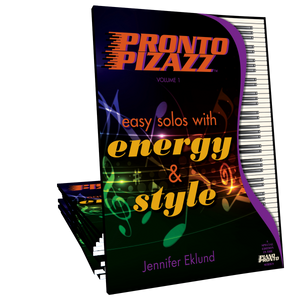 Thank you, Jennifer, for music that helps my I-forgot-to-practice-that student remember to practice what I asked her to! Highly recommend this piece!! It piece has been enjoyed by my beginner students this fall. It is so much fun and the I have gotten so many smiles and "that's cool" remarks. The teacher duet is lots of fun, too!